Turn your battlefield into a frozen tundra with snow spaces, ice spaces and glacier mountains that slow your enemy down. Then track them and attack them with your Dzu-Teh Snow Hunters, who travel quickly through this treacherous terrain and become all but invisible near the glacier mountains. Includes a Thaelenk Tundra battlefield and two unique game scenarios. 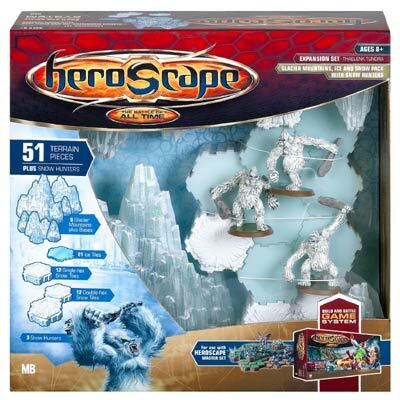 Other products in the "Heroscape" series.